410 Rentals opened its doors for business on August 31, 2002. Owners Victor Proulx and Gail Bohnas are long time residents in the Bonney Lake area. Victor and Gail are active in our Plateau communities. Our company has participated with many of our service groups and churches in our area - Buckley Log Show, Kiwanis, Lions 4 Kids, Beautify Bonney Lake, and Relay For Life events. We encourage our employees to participate in community events. We support our Military, Fire and Police in special events. Our seasoned staff is available to answer your questions and recommend the proper tool or piece of equipment for your project. 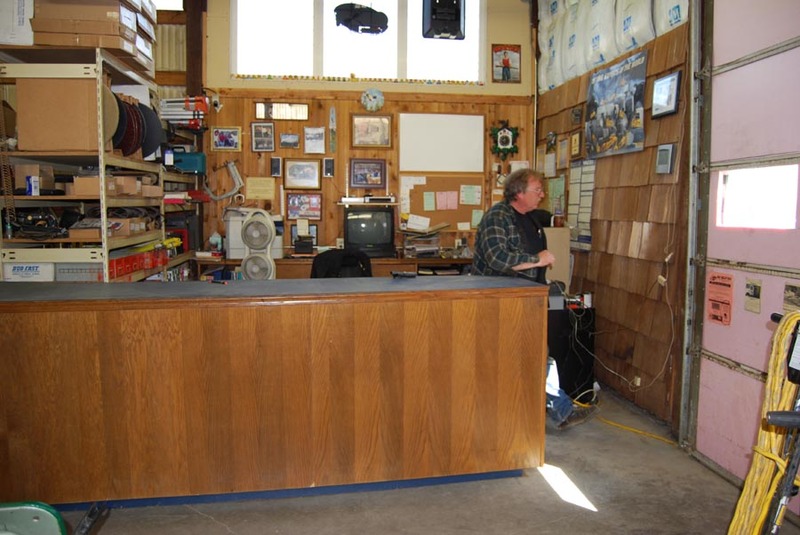 If we do not have an item, we will gladly help you find it at another rental facility. Customer service is our highest priority. For many of our local residents, they may know our location as "the Old Shake Mill." The building was used to saw cedar shakes and boards in the 1970's. You can still see a wall of shakes and boards in our office. Our counters were originally made for Nordstroms in the late 70's by Custom Craft Fixtures. Around 1983, they were purchased and moved into our local Farmers Insurance Agency. When that Agency moved to Sumner, 410 Rentals purchased them and remodeled our office space. We have some unique items on our walls. Friends and neighbors have contributed items for display. The horse collar and hames were donated by Sue Carson. They are from an old farm outside of Kalispell, Montana on the "Farm to Market Road." The cowboy bridle was donated by Larry Carson where he obtained it in Spanaway, Washington. The hay hooks and wooden pulleys are from our family farm in Winlock, Washington.